Trapp Family Lodge is home to the first cross-country ski center in the country, and it’s the largest in Stowe. But cross-country skiing isn’t the only winter activity you can enjoy here; backcountry skiing and snowshoeing are also popular activities at our resort. 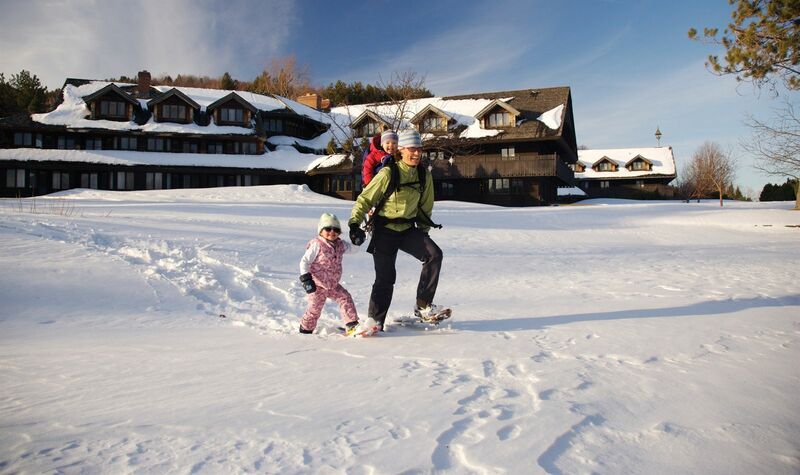 So if you’re planning a winter vacation in Vermont, Trapp Family Lodge in Stowe is the perfect choice. The purchase of this pass offers unlimited access to 100 kilometers of cross-country, snowshoe and back-country skiing trails on over 2,500 acres. View our 2018-2019 Rental, Lesson, and Tour Pricing Guide here! Ready to hit the slopes? We have 37 miles of groomed trails and 62 miles of backcountry trails suitable for cross-country skiers of all ages and abilities. Pick up all your equipment at our resort’s Nordic Center, which includes a retail shop, and be sure to make the exhilarating trip to Slayton Pasture Cabin where you can warm up on the hearth of a roaring fireplace and replenish your energy with homemade soup, sandwiches, and hot chocolate. Please call the Ski Shop at 802-253-5755 for pricing and more information on passes, rentals, and lessons! Head for the backcountry for an extraordinary Stowe skiing experience. If you've advanced to a place where skiing on groomed trails is a bit boring, we have just the thing for you. On our 2,500 acres, we've identified 25 miles of perfect territory for laying tracks on un-groomed snow. Backcountry gear rentals are available, with 24-hour advance notice. If you're new to backcountry skiing, we can get you started with rentals and assistance from our expert staff. Dashing through the snow is a great way to enjoy the outdoors in the wintertime, get some exercise, and have fun all at the same time! Our resort offers ample terrain where you can snowshoe on your own or with a scheduled group tour. Before venturing out onto the trails (or off the trails), take advantage of our expertly taught classes and clinics. We’ll cover everything you need to know about snowshoeing in Vermont, from understanding binding systems and choosing the right clothing to efficient, energy-saving techniques for steep hill climbs. Whether you want to join a group tour or go out on your own, we’ll help you plan a route that suits your experience and confidence. Snowshoeing is dependent on snow accumulation and weather conditions. Contact the Outdoor Center for trail reports and changes to scheduled tours.